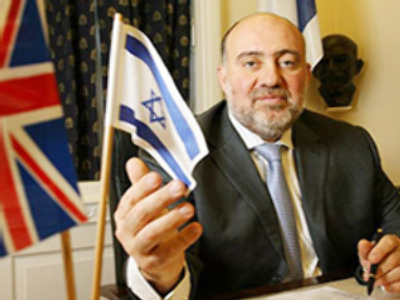 Britain has evolved into a centre for anti-Israel attitudes, according to Jerusalem’s top envoy to London, Ron Prosor. He told London’s Daily Telegraph that the debate about Israel has been 'hijacked' by extremists in recent years. The diplomat believes his country has been turned into a 'pantomime villain' by Britons. He said terror attacks on Israel are being ignored by the media and public opinion while military actions against Palestinians are given microscopic coverage. “Israel faces an intensified campaign of delegitimisation, demonisation and double standards. Britain has become a hotbed for radical anti-Israeli views and a haven for disingenuous calls for a 'One state solution', a euphemistic name for a movement advocating Israel's destruction,” Prosor claims. He said Britons were basically denying Israel the right to exist. Prosor was particularly scornful of British academics, who called for a boycott of Israeli universities over the country's treatment of Palestinians. Ron Prosor is a former Director-General of Israel's Ministry of Foreign Affairs. He served as spokesman in the Israeli Embassy in London between 1995 and 1998 and became ambassador last year. Meanwhile, Danny Kawczynski, a British MP of Polish origin, last week blamed the media of using Poles as scapegoats when covering the thorny issue of immigration. He said journalists' attitudes fuelled hatred towards Poles and provoked attacks against Polish guest workers.